Happy Valentine’s Day! 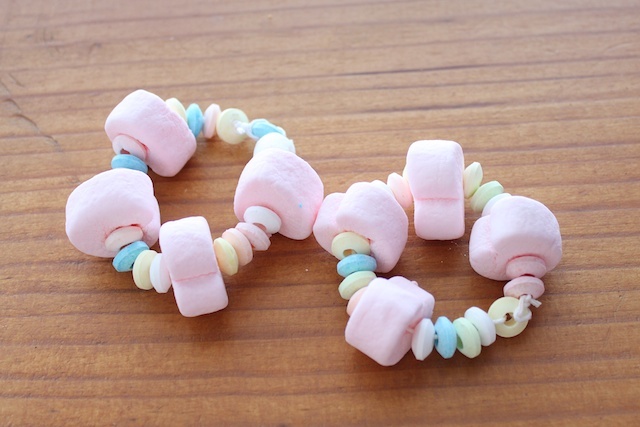 Yesterday, I had Nathan make these marshmallow bracelets as Valentine’s from dad to the girls. Boy will they be surprised. They love marshmallows. You can also do necklaces with them too. 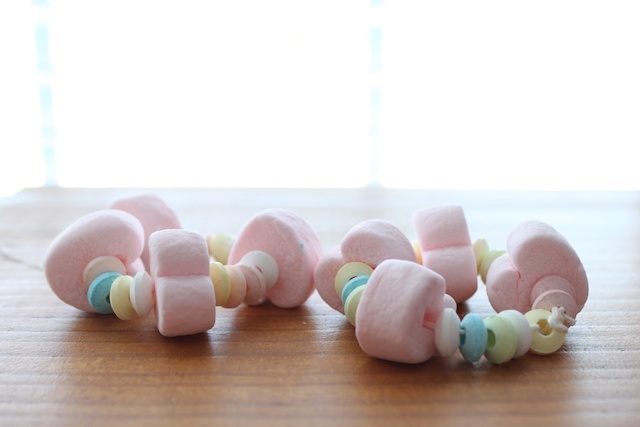 I didn’t want the girls to be that sugared up on Valentine’s Day, so we just did bracelets. And if you make something inspired by Simply Modern Mom, please upload pictures of it to our Flickr group to show it off to everyone. You may be featured on Simply Modern Mom. 1. Thread your needle. Cut the string the size of the wrist or around the neck with some room for the puffiness of the marshmallow and for tying. 2. 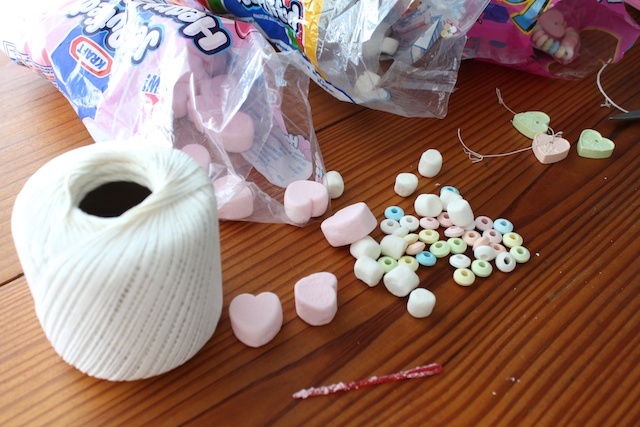 Start stringing the candy onto the elastic or string. 3. Tie the two ends together to finish off. » Tell me… Do you or your husband make something special for the children for Valentine’s Day? Any Valentine’s Day traditions? ooh fun! Thanks for the great idea, I’ll be linking. I love this idea! I will be using this with cereal between the marshmallows at my son’s Valentine’s party.